Driver fled the scene after ramming into a patrol car on duty in the Hevron Hills; officer injured. An Israeli policeman has been injured in a car accident on Saturday night that may have been a terror attack attempt, police stated. 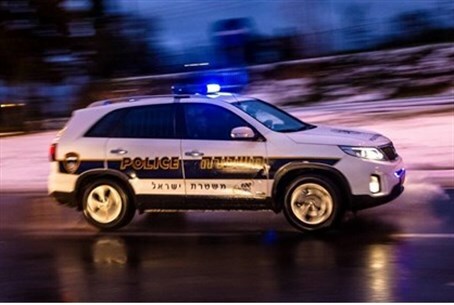 A police officer on patrol in the Hevron area on Saturday night near the Yehuda Regional Base in the Hevron Hills was hit by a Palestinian Arab driver who rammed his car into the patrolman during a routine inspection, they said. The driver fled the scene toward the village of Yatta. The policeman has suffered leg injuries and was evacuated to Soroka Medical Center in Be'er Sheva. Police and the IDF are scanning the region for the driver and an investigation has been launched. All leads are being pursued, police emphasized.